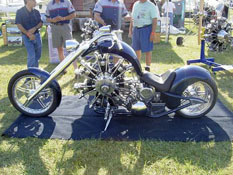 The radial engine is a reciprocating type internal combustion engine configuration in which the cylinders point outward from a central crankshaft like the spokes on a wheel. This configuration was very commonly used in aircraft engines before being superseded by turboshaft and turbojet engines. * Total swept volume of 2800cc (172ci). 110HP @ 3700 RPM geared. 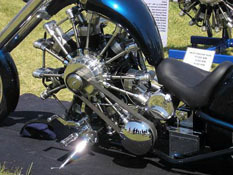 Total engine diameter is 810mm (31.9"). * Gearing is via a PSRU (Planetary Speed Reduction Unit) at a ratio of 3:2 Engine rpm:Prop rpm.